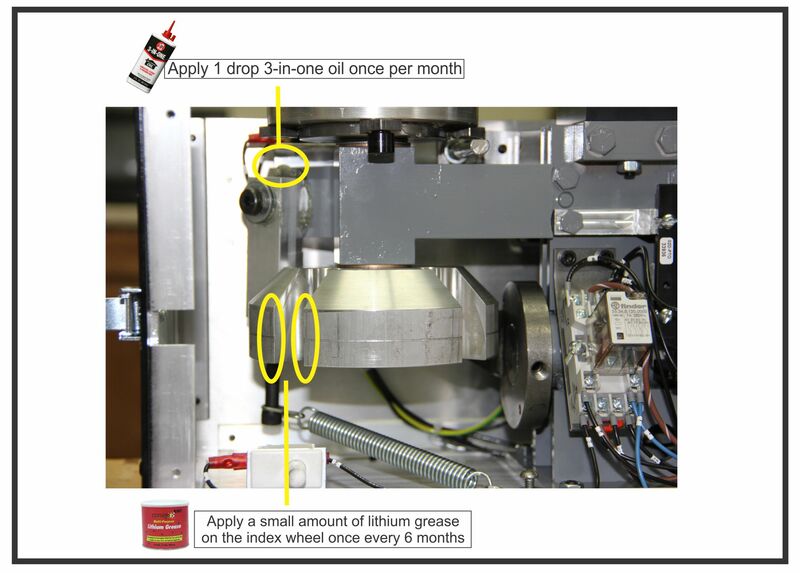 A general rule of thumb is that the 3-in-One oil can be applied anywhere that there is visible grease on the button maker machine. Most of these areas are indicated in yellow. Depending on use, the electric button machine may only need lubricating about once every month. 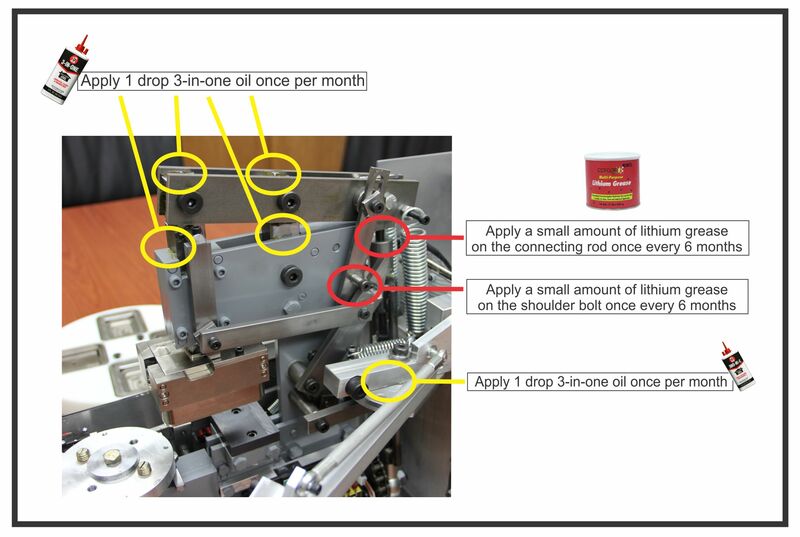 It is important to note that only 1 drop of oil is needed. Over lubricating will get you into a slippery situation involving excessive oil inside the button maker and the inability to clean effectively. Periodically, debris and dirt should be removed from the button maker. The best practice for this removal is to first lightly vacuum the machine’s innards. This will remove any loose dust. Next, you can spray the internal organs of the button maker machine with compressed air. After spraying, lightly vacuum the insides once again before replacing the cover. This entry was posted in Button Maker Maintenance, Company News, Electric Button Maker Machine and tagged button maker machine, button making, button making kit, Button making supplies, electric button maker machine, Tecre. Bookmark the permalink.